You might think that asbestos exposure was more of an issue decades ago, before it was known how harmful it is to our health. But that couldn’t be farther from the truth. Currently, 125 million people worldwide are exposed to asbestos at their job, and millions more exposed daily. It’s estimated that 50% of occupation-related deaths are caused by asbestos. We’re almost positive that you’ve heard of asbestos before, but do you know exactly what it is? Or what it can do to our bodies if we’re exposed? Since asbestos is found in many different products and involved in many occupations, it’s important to understand the serious health risks associated with it. 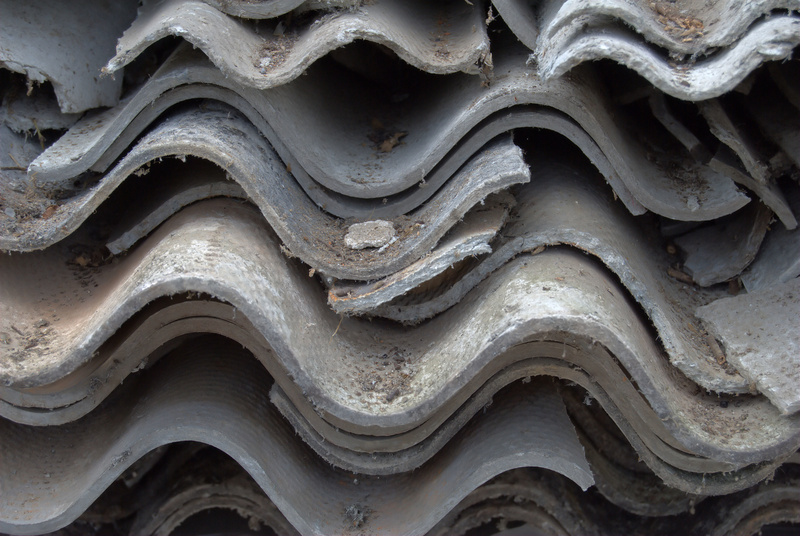 Keep reading to learn what asbestos is, and what you can do to avoid exposure. Asbestos isn’t just one thing. It refers to a combination of 6 mineral components that combine to form fiber bundles. These bundles have been, and still are, used in a number of industrial applications. These are by no means all of the places where asbestos is used. But from just these few examples, you can see how asbestos can essentially be found anywhere and permeates many aspects of our society. While many governments now ban the use of asbestos in buildings and other applications, older buildings, cars, and products still contain asbestos. Like we just said, you can still be exposed to asbestos on a day to day basis. It’s not rare, either. It’s estimated that around 240,000 Canadian homes could still contain asbestos. Even though new homes and buildings aren’t being made with asbestos, the risk of exposure is still high. What Can Asbestos Exposure Lead To? For all this talk about exposure, we haven’t really gone over the dangers of asbestos. The fact is that asbestos is a carcinogen, meaning it can (and often does) cause cancer. There is no safe level of exposure to asbestos. Most carcinogens have a certain level that’s OK to be exposed to. For example, formaldehyde is a carcinogen, but it won’t cause cancer when you’re exposed at low levels. Asbestos is always dangerous no matter how much or how long you’re exposed to it. In Canada, asbestos exposure is the number one cause of occupational death. And while Canada does have laws regulating and banning asbestos for current day use, that doesn’t erase the fact that it’s already in many buildings and millions of Canadians have been exposed for years. Most of the damage from asbestos will be in your lungs. When you’re exposed to asbestos, you inhale it and it goes directly to your lungs. It’s there where it will cause the most damage. If you’re exposed for a long time, you can eventually develop asbestosis. Usually, you won’t notice these and other more serious symptoms until 20-30 years after you were exposed. If you develop asbestosis, you can also experience deformities in your nails along with enlarged fingertips. Diagnosing asbestosis will involve a few steps taken by your doctor. First, they’ll listen to your breathing to see if they identify any abnormal breath sounds that would indicate lung damage. They’ll want to take a chest x-ray to examine your lungs as well. They might also want to perform tests to evaluate your lung function. In the long term, this can cause chronic lung issues, and it can lead to fatal complications. You can’t cute asbestosis, but you can take steps to make breathing easier with inhalers or oxygen masks. Perhaps the biggest risk of asbestos exposure is the huge risk of developing cancer. Symptoms of lung cancer or other types of cancer caused by asbestos exposure (most often mesothelioma) won’t develop until years after the initial exposure. It can take 15-40 years after initial exposure to develop an illness. These symptoms mirror those for asbestosis, so you’ll need to get a doctor’s diagnosis to be sure. Unfortunately, these symptoms don’t arise until the cancer reaches a later stage. The best way to avoid this is to have regular screening by your doctor, especially if you know that you’ve been exposed to asbestos. After all of this scary information, you might be freaked out. The good news is that there are ways to protect yourself from asbestos exposure, even after you’ve been exposed. If you know that you’ve been exposed to asbestos, especially in large doses over a long period of time, then you should have regular screenings and check-ups with your doctor. This way, you can catch any disease or cancer early, which will give you a better chance at recovery. If you believe your home contains asbestos, there are ways to remove it. Home and buildings built before 1986 have a high chance of having asbestos. You should look into asbestos removal to make sure your home is safe to live in. Asbestos is a dangerous carcinogen that can cause serious illness. While you won’t see or develop symptoms right away, exposure is extremely serious and shouldn’t be taken lightly. Hopefully this article has helped you understand the dangers of asbestos a little more so you can take steps to avoid exposure and make your home safe. If you have any other questions, don’t hesitate to contact us. We can answer any questions you have about your home, asbestos removal, and more.